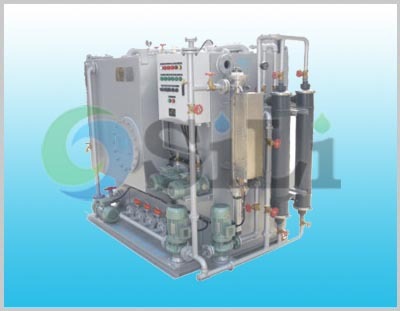 The total waste water system is composed of water-proof sewage tank, contact tank(for sterilization and oxidation), settling tank, control panel, sliding vane air pump, centrifugal pulverizing pump, centrifugal sewage discharge pump, connection valves, connection pipe and so on. Working model: microbe films osculation oxygenation method and Ultraviolet disinfection sterilization. –Full system range supply. It is just requested to connect with the pipe and electrical source, the system will run functionally. –Under MRPC.159(55). The discharge water after treatment of the device has reached effluent standard stipulated internationally, and it accords with the requirement of resolution MEPC.159(55) if IMO. –Light weight and small size. This device is in small space, light weight, compact structure, and no secondary pollution. After pulverizing, the daily sewage flows into the sewage tank, to contact with the oxidation tank. Aerating by the air pump, to contact wit biofilms by a certain velocity flowing through fillings. The organic pollutant will be digested by biofilms. The sewage process pump is used to discharge into the ultra filter to filter the slag. 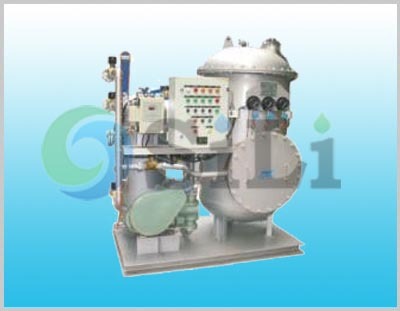 The ultraviolet sterilizing plant kills the bacteria in the fluid, and treated water is discharged overboard as an effluent. Refer to more details from the WCMBR marine sewage treatment unit catalogue, Under MRPC.159(55) request, suitable people 10 to 400. Refer to more details from the WCMBR sewage treatment unit catalogue.